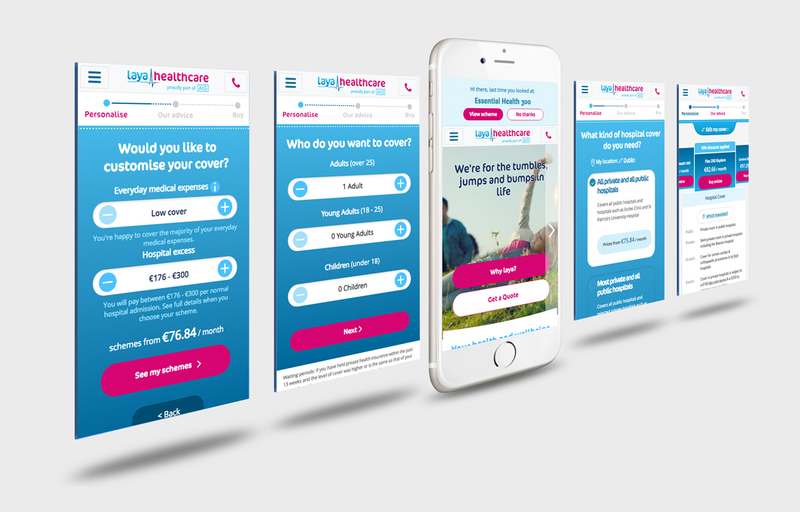 With an increasing level of traffic coming to the laya.ie website from mobile devices the customer quote user journey needed improvement. 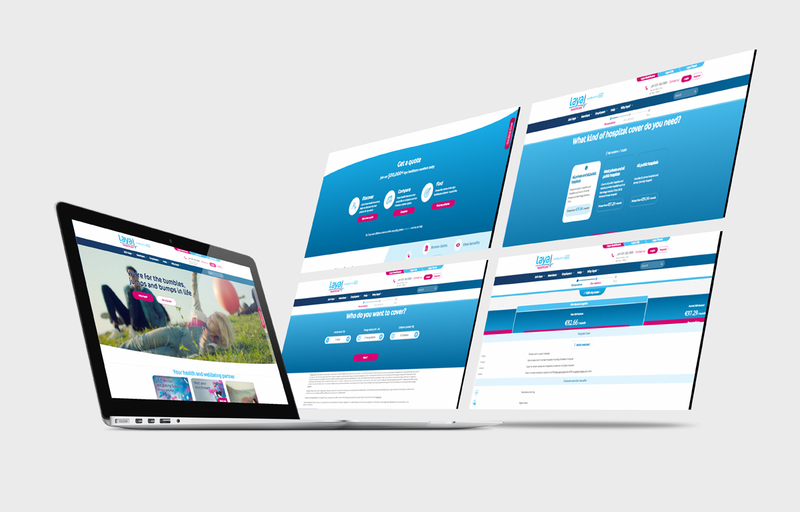 Laya also wanted to better promote their Health and Wellbeing credentials, this meant the homepage had to communicate their service offering more clearly to both new and existing members. Working closely with the team in Laya we reviewed the data, the research and listened to customer service calls to gain a deep understanding of customer behaviour. Our agile process started with us sketching out customer journeys and identifying points of friction on their journey. From our initial sketches we developed clickable and responsive wireframes. We then looked at the front end (UI) design. At each point of our process we tested our concepts, information architecture and design with online and offline focus groups. This ensured a continuous loop of user feedback, iterative prototype development and ultimately the best possible customer experience.